I found the following news kinda interesting by doing the usual “news fishing” on the social networks! Julien Mier one of King Deluxe artists, that label based in Canada and we deal several times on this blog, He is soon on tour. The sound of this guy is definitely something that if you hear once you wont forget and notice immediately. 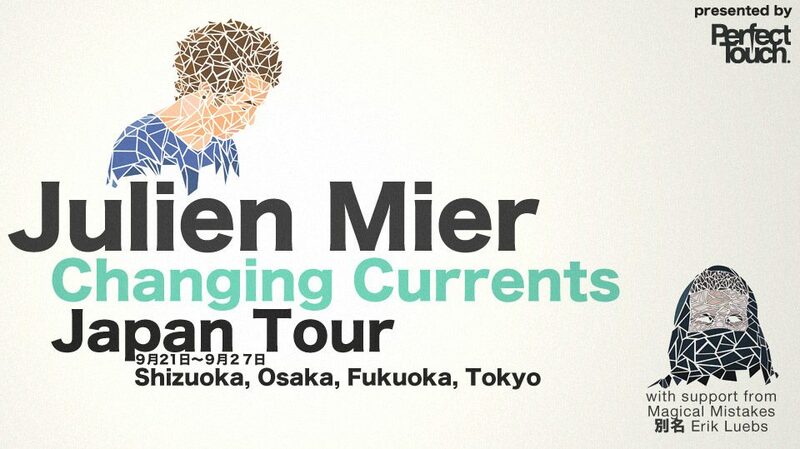 The tour starts in September to celebrate the new EP “Changing Currents” on Osaka based record label Perfect Touch. Together with him will also be the japanese artists Magical Mistakes, Metome and submerse.